Plasma vs LCD is a common topic in the world of HD TV. Both technologies may look similar at first glance, but they are vastly different in the way they operate. You may hear LCD televisions referred to as LED TVs these days, but it actually is the same technology with LED backlighting, rather than traditional fluorescent backlighting. Plasma televisions are made up of pixels, and each contains live, red, green and blue phosphorous. Each pixel is individual light that is controlled by an electric charge. This give plasma it’s unique off angle viewing property, where the picture retains its brightness in contrast until yourself so far off to the side that you can’t see the picture anymore. With LCD's, the light from the TV is produced by a fluorescent or LED backlight. The pixels on the screen are composed of twisting crystals that produce the picture by blocking the backlight. 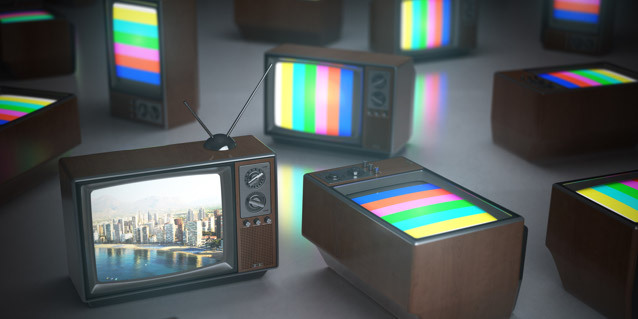 Because plasma televisions provide their own light per pixel, they've traditionally performed better in both black level and contrast, which also leads to improved color performance. However, recently top quality LCD televisions with improved panels can manipulate the backlighting to produce a comparable difference. The winner of the contest for which provides the best black levels in contrast depends on individual TV model. Color accuracy in rendition has historically been more consistent in a plasma television. This is still true today. LCD manufacturers have improved colors to make them more realistic and accurate. LCD TVs deliver superior performance in areas of brightness and peak white. LED backlighting can offer a very bright picture and is especially good for brightly lit rooms, except for side viewing angle issues. With fast moving action scenes, LCDs can fall behind the plasma technology due to the speed response for the twisting crystals. LCD manufacturers have taken steps to cure this issue with higher refresh rates and lower response time. But high-end plasma can be superior for fast action. The quality of the TV’s video processing engine can be more important in this area than whether the television is LCD or plasma-based. LCD televisions usually win out pretty handily with automatic backlighting control and LED backlighting. Even large LCDs can use very little energy, especially when compared to the power consumption of large plasma television. However, when it comes to actual dollars and cents, you're looking at one to two dollars per month savings for a large LED backlit LCD TV. The picture mode settings in contrast level set-up can actually determine more about how much energy you use than the technology employed. A lower contrast setting will use less power. Manufacturers of the both technologies claim 100,000 hours. Of course this is with very conservative picture settings. But regardless, even half of this figure equates to about 28 years at five hours a day of use. From a value standpoint plasma has been leading the way for the past few years, but with lower prices in an equal size and quality comparison. But this area is getting closer every year. An excellent alternative to purchasing a new television is to have your old one repaired. This saves on costs and allows you to continue enjoying your TV without ever leaving your house to get a new one. Contact our TV Repair Singapore team if you'd like affordable, reliable and easy repair services.